Gujarat TET 2019 - All about Gujarat Teacher Eligibility Test (Gujarat TET) ✓ Notification ✓ Application Form ✓ Syllabus ✓ Admit Card ✓ Eligibility ✓ Question Papers ✓ Answer Key ✓ Exam Date ✓ Exam Pattern ✓ Cut-off Marks for the post Primary Teacher (from 1st class to 5th class) and Upper Primary Teacher (from 6th Class to 8th Class) examination to be held in 2019. Candidates interested in appearing for the exam should apply only through online process from official website www.ojas.guj.nic.in. The Gujarat Government conducts this examination and recruiting the eligible teachers in the state of Gujarat. Gujarat TET is for the candidates aspiring to become teachers in primary (class I -V) and upper primary (VI-VIII) schools in the state of Gujarat. Senior Secondary or equivalent with at least 50% marks and passed or appearing in final 4 yrs. diploma in elementary education (B.EI.Ed). Candidates are required to apply online application form from the official website www.ojas.guj.nic.in from June 2019 to July 2019. After successfully submission of application form, candidates need to take print out of duly filled application form for future references. 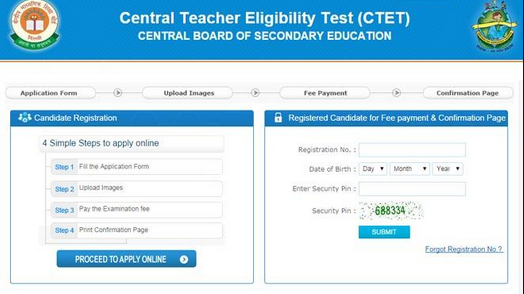 ✓ SC/ST category candidates are required to pay Rs 250 as application fee. The Candidates will be selected only based on their performance in Gujarat TET 2019 written examination. Qualified candidates will be called for document verification and then the allotments will be made based on the merit of the candidate. • The test items on Child Development and Pedagogy will focus on educational psychology of teaching and learning relevant to the age group of 6-11 years. They will focus on understanding the characteristics and needs of diverse learners, interaction with learners and the attributes and qualities of a good facilitator of learning. • The Test items for Language I will focus on the proficiencies related to the medium of instruction, (as chosen from list of prescribed language options in the application form). • The Language II will be from among the prescribed options other than Language I. A candidate may choose any one language from the available language options and will be required to specify the same in the application form. The test items in Language II will also focus on the elements of language, communication and comprehension abilities. The test items in Mathematics and Environmental Studies will focus on the concepts, problem solving abilities and pedagogical understanding of the subjects. In all these subject areas, the test items shall be evenly distributed over different divisions of the syllabus of that subject prescribed for classes I–V by the appropriate Government. • The questions in the tests for Paper I will be based on the topics of the prescribed syllabus of the State for classes I–V, but their difficulty standard, as well as linkages, could be upto the secondary stage. the attributes and qualities of a good facilitator of learning. • The test items for Language I will focus on the proficiency related to the medium of instruction, as chosen from list of prescribed options in the application form. items in Language II will also focus on the elements of language, communication and comprehension abilities. • The question s in the tests for Paper II will be based on the topics of the prescribed syllabus of the State for classes VI-VIII but their difficulty standard as well as linkages could be upto the senior secondary stage. 8 The question paper shall be bilingual – (i) in language(s) as decided by the appropriate Government; and (ii) English language. Candidates will be able to download their Admit Card before the two weeks of the exam. Candidates are requested to visit the same website to download their Admit Card For Gujarat Teacher Eligibility Test (GTET) Exam 2019. 1:- Log on to the official website www.ojas.guj.nic.in. hello there... pls share link or website from I can buy books for the preparation of Gtet.